With the new holiday apartments on the second floor we have deliberately used only well-chosen materials and - provided that it was possible - wood from our own forest. 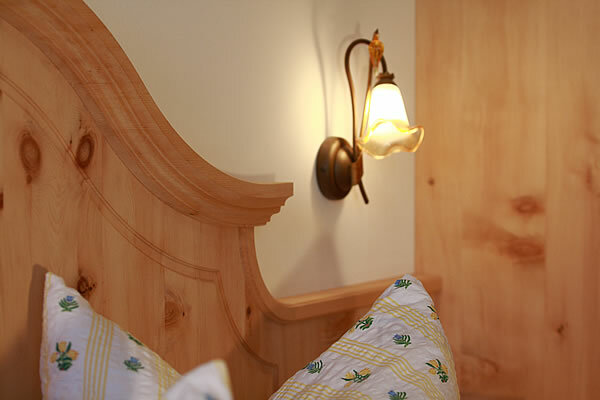 Stone Pine: This wood we used for the bedroom furniture. It smells very good and promotes a quiet and restful sleep. 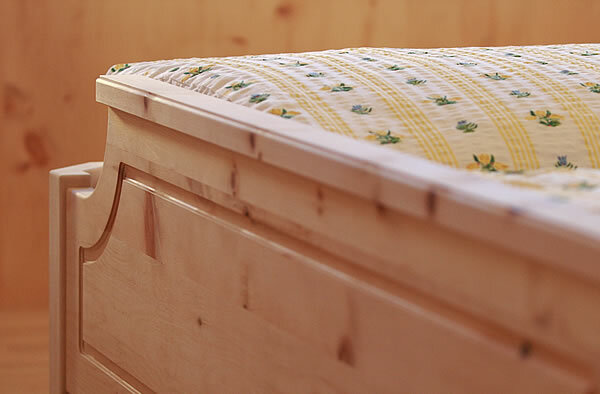 The wood is left natural and not processed. 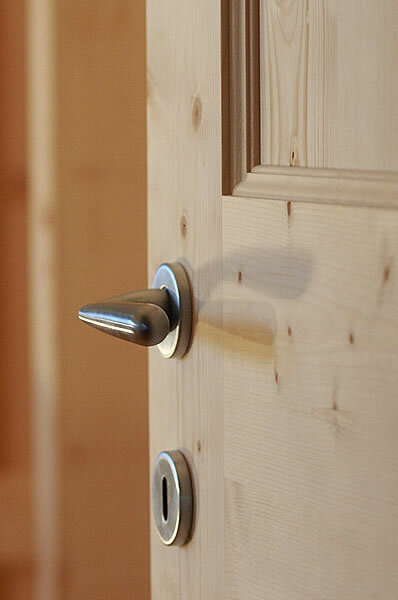 Larch, we have mainly used for the floors in the rooms. 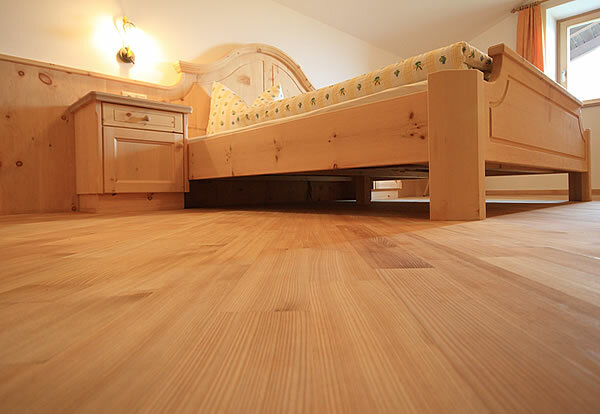 The wood is very resistant and has a beautiful reddish color. Spruce was used for the massive doors. 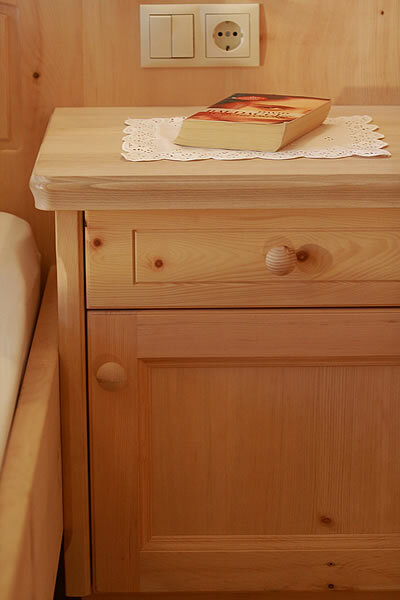 We used for thermal insulation materials made of wood which present no health risk to our guests. Our farm is environmentally friendly heated with wood from ower own forest. We have also installed a hygienic hot water.